The Logitech Revue TV media player is a bit different from other streaming players because it uses a keyboard instead of a remote. I’ve been hearing a lot lately about streaming media players, with quite a few of my family and friends using TV media players to replace their cable or satellite TV to save money. While they’re enjoying the savings, they also have some complaints about limited functionality. For instance, they might not get certain TV shows or programming on their local television stations. That got me thinking: Wouldn’t it be nice if there was a device that incorporates everything? One of my Facebook friends actually enlightened the discussion by revealing the device we’re looking for is the Logitech Revue TV media player. And he was absolutely right. What’s different about the Logitech Revue companion box is it turns your HDTV into a smart TV without the cost of buying a smart TV. It actually streamlines all manners in which you view media content, whether it’s via cable, satellite, over-the-air, on the Internet, or your computer or mobile device, and enables you to watch them all on your television screen. That includes current televisions shows, news and programming on your local broadcast stations, movies, video games and music. 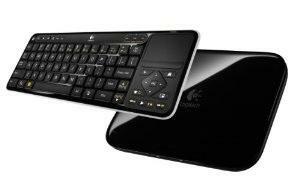 Logitech Revue is supported by Google TV, so you can pretty much access any type of online media. If you use the Google Chrome browser, you’ll find it a familiar component that supports HTML5 and Flash when you access the Internet using Logitech Revue. It’s also there for searching offline content, too, which was a nice surprise. Besides the Google TV advantage, Logitech Revue seamlessly integrates your personal media, on-demand programming, DVR recordings, and PC and Web content and gives you a searchable interface right on your television screen. I particularly liked that Logitech’s Harmony universal remote technology is built into the media player. But what really differentiates this TV media player from others is the full-size keyboard. With functions of a mouse, keypad and keyboard built in, you can quickly and easily type in a search for programming, channel surf, or navigate the Web in whichever manner you prefer. Another revolutionary feature is the ability for video calling on your television, but you need to purchase the Logitech TV Cam separately and a Logitech Vid is required. The investment is well worth it because the quality of the video calling is bar none. The overlay interface is another useful feature because you don’t have to leave your current programming to look for something else. For example, you can be watching one channel and then click on the Home channel button and the menu will overlay the content you’re watching. So there’s no effort in switching back and forth between watching and browsing. You can also minimize your live TV screen and surf the window in the background using the picture-on-picture feature. Watch cable, satellite, or over-the-air TV. The TV & Movies app and program guide shows you what’s on the air in an easy-to-read format. Surf the Web for something to watch. Go to the Android Market and select an app for subscribing to movies, video games, live sporting events, news programs, educational shows, or any other type of programming you desire. As a side note, some of the big content providers, like Hulu, ABC and CBS, are blocking Google TV, so don’t expect to find their apps available. Let’s hope in the future that Google and these content providers work out their differences. The Logitech Revue Home page features easy navigation to your desired programming. You get started at the Home channel page, which is nicely organized and has a user-friendly layout. The left side of the screen offers Bookmarks, Applications, Spotlight, Most Visited, Queue, What’s On, Amazon VOD and DISH Cinema menus, with some categories having sub-menus. The options on the center screen navigate you to popular channels or devices. 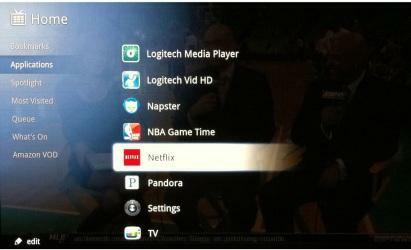 For instance, you would use the Logitech media player menu option to stream content, such as photos, audio, or videos, on your computer to your HDTV. As another option, you can press the Google search bar button on the keyboard controller and that familiar search bar appears ready to find what you’re looking for or to give you live search results. I really like this feature because it saves time looking for a program across different content providers. If you want to use your DVR, it works the same way as long as you set it up to communicate with the Logitech Revue player. This is where the Logitech Harmony universal remote comes in handy. 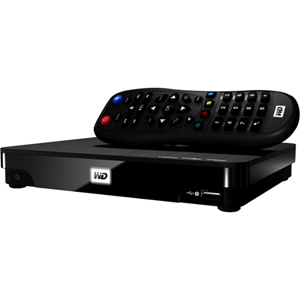 Manufactured by Logitech, Inc., the Logitech Revue companion box TV media player is powered by Intel’s 1.2 GHz, CE4100 Atom processor and is designed to support Google TV. 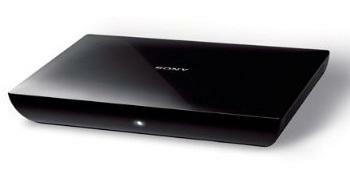 It measures 16.4 x 8.2 x 3.6 inches, weighs 3.3 pounds and includes 1GB RAM and 5GB storage. 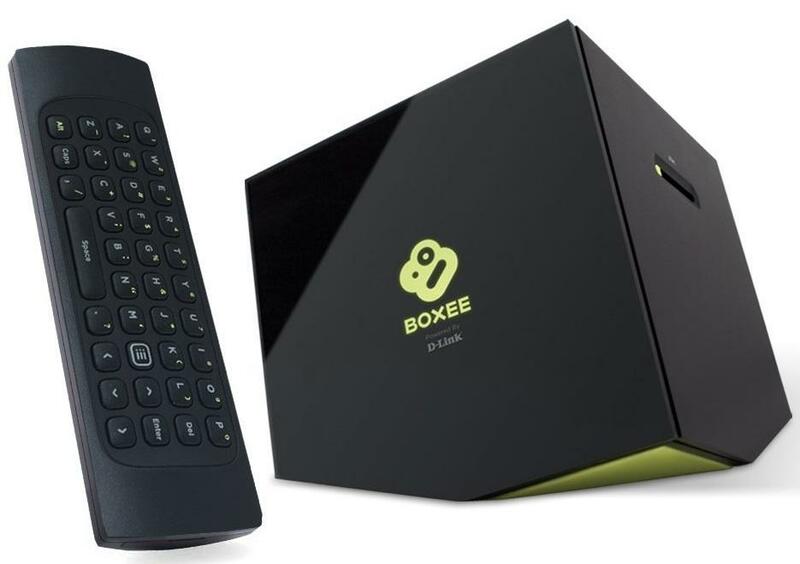 The box has an excellent Google TV user interface based on the Android operating system that controls your TV, cable or satellite box, and AV receiver so you can still watch programming from your cable or satellite provider. The Logitech Revue can also stream photos, personal videos and music from your personal computer to your HDTV via its included Logitech Media Player app, however a computer and media server are required. It’s rather easy setting up the Logitech Revue TV media player. I would estimate about 30 minutes in total. The back of the Logitech Revue companion box with all the ports for the available connections. To connect the Logitech media player, you need a high definition television (HDTV) with an HDMI input port. You also need a satellite, cable, or over-the-air set-top box with an HDMI output port and high speed Internet access, either wireless (Wi-Fi) or via an Ethernet-connected network. The back of the Logitech Revue unit has eight functions: the pair/reset button for pairing the media player to the keyboard controller or other Logitech unifying devices or to reset to factory installed settings; the HDMI IN port for connecting DVR output; two IR Blaster ports to connect to the included IR mini blaster if problems arise with the keyboard; two USB ports for connecting accessories, such as a TV Cam; an Ethernet connector; the HDMI OUT port; an SPDIF Use port for connecting to a non-HDMI AV receiver; and the Power Plug connection. The Logitech Revue keyboard combines the functions of a keyboard, remote and keypad. The technical capabilities of the Logitech Revue keyboard deserve mentioning because they play a key role in the function of the Logitech Revue. 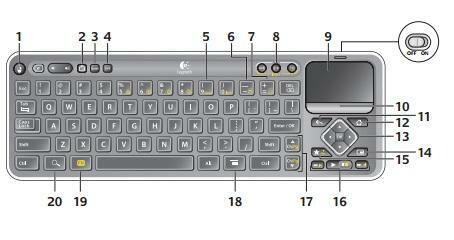 Incorporating the features of a TV remote, keyboard and keypad, the Logitech Revue keyboard performs 20 functions. They include: mouse functions; TV switches to live TV; program guide; DVR; menu displays; zoom out; zoom in; on button; touchpad; click button functions; back returns to previous screen; home returns to Google TV home screen; directional navigation keys; picture-in-picture activation; favorite locations saves; playback controls; scroll up and down through channels or Web pages; Google TV menu options; key commands; and search. 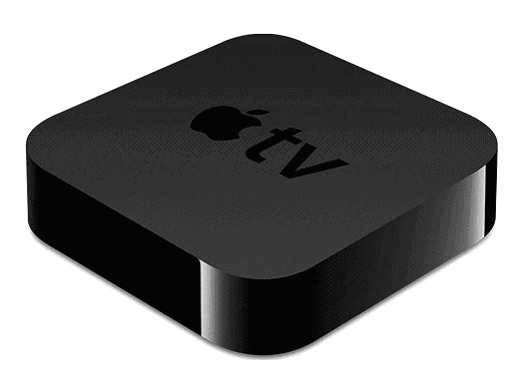 The first step in setting up the device is to connect the cables, including the TV, set-top box, audio-video receiver and Ethernet cable, if applicable. Once connected, power everything on and follow the on-screen setup for pairing your keyboard controller, setting up Google TV to fit the dimensions of your TV screen, setting up your Internet connection, selecting your broadcast TV provider and connecting devices. You need a Google account to use Google TV. The Logitech Revue streaming TV media player has a lot going for it because it gives you the ability to access content for all media avenues, be it live TV, the Internet, DVR, subscriber-only content providers, or media content on your computer. If you want to discover all the media possibilities available, I recommend watching the Revue video that explains Google TV, shows how to access all the features and outlines all the options.You’ll also find that the Revue companion box is non-intrusive, especially when you’re watching cable programming. It simply takes on the role of your remote control, although you can use the remote that came with your cable or satellite system if you prefer.Although there is plenty of content available with Logitech Revue, you will find the app selection rather limited compared with other TV media players. I would expect to see more app options available in the future to stay on pace with the competition. Everything you need to start streaming media is included with the Logitech Revue companion box. This is where you should really be careful and compare prices because it looks like Logitech is dropping the price on this device. The Revue retails at $299.99, but Amazon has the best price so far at $108.95, which includes free shipping. 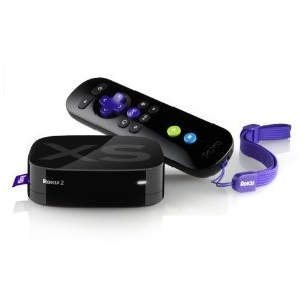 The Amazon price is more in line with other TV media players. There is quite a mix of comments regarding the Logitech Revue. Some absolutely love it, others don’t and some complain of problems with certain aspects of the device. But all in all, Amazon customer reviews average 3.4 out of 5 stars, with the majority giving 4 or 5 star ratings. The Logitech website has numerous customer reviews as well, averaging 3.7 out of 5 stars.Here is a sampling of some of the comments submitted to Amazon and Logitech’s customer reviews page. 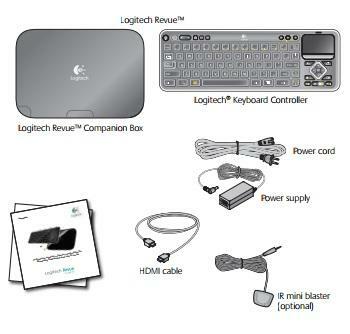 The Logitech Revue companion box is sold in retail stores like Best Buy and Sears, as well as online electronic stores. It appears that the best deals are online. Amazon, in particular, offers the Revue and also lists several other buying choices, both new and used. Amazon.com has the most extensive comments about this media player. I like referencing Amazon for customer reviews because you know they are from actual buyers and users, so they are unbiased comments. You will also find a good number of reviews on the Logitech website. It was good to see that the Logitech customer reviews are unfiltered, so you can read about issues or problems that customers had and form your own opinion.